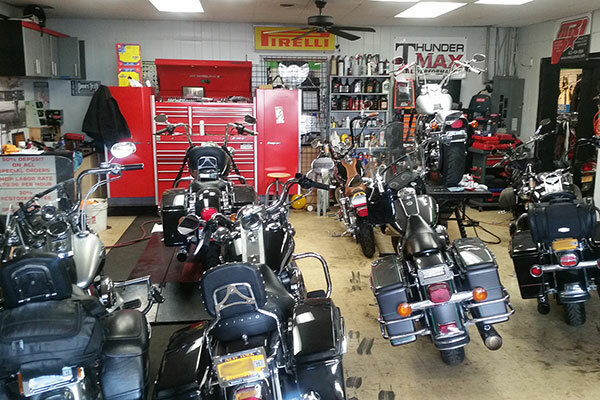 We have a full service center with a crew that is second to none! We can help with repairs, customizations, tune-ups or complete overhauls. You name it and we can get it done. We also have an enclosed trailer so we can pick your bike up if the weather is bad. If you need some type of service, simply fill out our service request form below and we will contact you within 1-2 business days to confirm your request. Briefly describe what you need done to your bike.